There are certain phrases guaranteed to make even the most seasoned music reviewer clammy with sweat and dread: ‘our music is actually really hard to categorize’ is pretty near the top of the list. Yet the duo of Lisa Gerrard and Brendan Perry’s music is genuinely hard to pin down. That’s not to say it’s unlistenable. Far from it. The reality is that over the course of nearly forty years they have drawn from a truly global pool of inspiration, whilst managing to avoid to either a) repeat themselves or b) produce something that sounds like worthy-but dull ‘world’ music. Even the fact that this is a concept album (though not, as Brendan Perry was at pains to point out to me, in the style of a seventies progressive rock concept album) cannot destroy what is a very special album. Dionysus – also known as Bacchus – was the ancient Greek God of wine. This album consists of seven pieces (they don’t really seem like songs) over the course of two acts which tell the story of the legend. Whilst both Perry and Gerrard have very striking voices, this is one where their own voices are used comparatively little, at least in the first Act. Instead of which, they use field recordings and chants, along with a vast array of folk instrumentation, which reaches right across the world, bringing in bird calls and European traditions along the way. 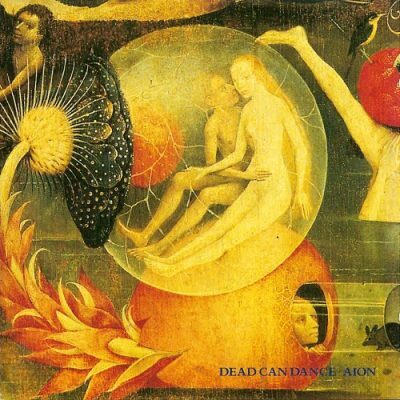 Dead Can Dance probably weren’t what Mike Scott was talking about when he coined the term ‘The Big Music’ but even by their pretty high standards, this is music that is more than just widescreen. Reportedly, this album took two years to research and record. That’s looking into the story, and researching the legend, and putting together something of gigantic scale, rather than getting sidetracked and not focusing on the matter at hand. In the process they have pulled off something with grandeur that feels spiritual rather than a folly of excess. 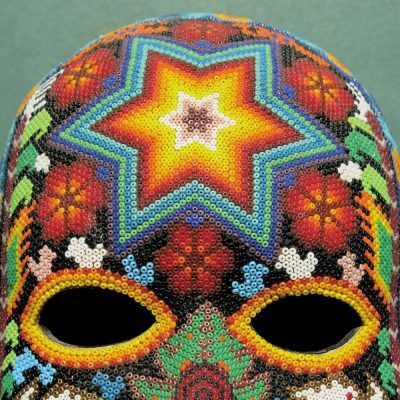 With Dionysus, Dead Can Dance have shown that not only are they one of the most original acts ever, but also that they are continuing to break new ground and reinventing the rule book. It’s been six years since the last album, Anastasis, over thirty since their self-titled debut, and they are still continuing to evolve as an act. A number of the instruments on this record are probably unfamiliar even to those who teach music, yet somehow it doesn’t matter. 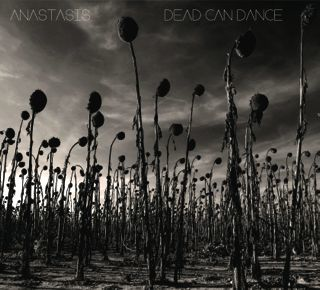 November 2 will see the release of Dionysus by Dead Can Dance. It’s their first album for six years, following on from 2012’s Anastasis – and their ninth studio album in total. Dionysus was the Ancient Greek God of wine (also known as Bacchus by the Romans). Taking its lead from the myth of Dionysus, the new album consists of two acts across seven movements that represent the various parts of the legend. Conveyed by an array of folk instrumentation, field recordings and chants, in true Dead Can Dance style. The first track to be unveiled from the album is ‘The Mountain,’ the first part of Act II. In the words of Brendan Perry, “the listener will find themselves visiting Mount Nysa. According to the press release: Driven by Perry’s exploration of religious rites and rituals, ‘Dionysus’ nevertheless sees ally-in-arms Lisa Gerrard convey the feminine aspect of Dionysus’s dual nature through song in both solo and mantric choral forms and ultimately to play the role of Psychopomp, signifying Dionysus’s role as an agrarian deity returning to winter’s underworld to reassume the role of guide to dead souls. By following this link, you can stream ‘The Mountain’ and pre-order Dionysus. You can also get details of the group’s world tour in 2019, which includes two dates at London’s Hammersmith Apollo. There’s no shortage of musical acts whose output changed over their lifetime. Talk Talk evolved from challengers to Duran Duran to minimalist post-rock, for example. And who would have predicted the trajectory of Everything But The Girl from being King and Queen of bedsit Bossanova to drum’n’bass and clubland acceptance? 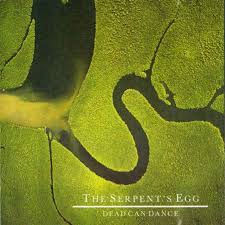 Yet perhaps the most astounding evolution belongs to Dead Can Dance. Brendan Perry and Lisa Gerrard were lumped in with the goth-industrial scene of the 1980s when they released their self-titled debut in 1984. 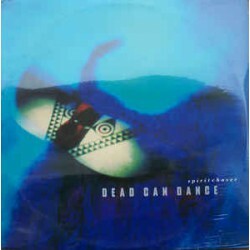 This may have been to do with being signed to 4AD but that debut, whilst strong, was not typical of the sound that Dead Can Dance would become most noted for. The Australian pair would produce a series of albums that drew on traditional music that at times crossed continents and centuries. The results were always high in quality, bewitching and beautiful, and some of the unusual music ever to be filed under ‘Rock & Pop.’ 4AD were probably the most suitable label for them to be on – it’s hard to imagine label head honcho Ivo Watts-Russell grumbling about the lack of an obvious single. Between 1984 and 1996, the band produced seven albums, which have been re-issued over the last year on vinyl. (They reunited in 2012 to produce an eighth album, Anastasis.) The final re-issues (not quite sequentially) are their fourth, fifth and seventh releases. The Serpent’s Egg, (****) originally released in 1988, was the last album made while Perry and Gerrard were still a romantic couple. The press release describes this album as ‘minimal but grandiose’, which is actually pretty accurate, and makes perfect sense when you listen to the album. The album opens with the glorious ‘The Hosts Of Seraphim.’ The album blends medieval and eastern influences – but so coolly and brilliantly it doesn’t need dance beats to try and bring it up to date (which, paradoxically, usually leaves results sounding very dated very quickly). Other highlights from the album include ‘Severance’ and ‘Ullyses.’ Usually when people talk of music being timeless they mean it sounds like it was made in the 1960s. So much of this – in the best possible way – sounds like it could have been made 500 years ago (technology notwithstanding). 1990’s Aion (****) is a great example of how judging a record on its cover might actually be pretty accurate: it’s a section from the Earth phase of Dutch painter Hieronymus Bosch’s famed triptych, The Garden of Earthly Delights. The album is a mixture of medieval and Renaissance styles. It’s a record that follows on logically from its predecessor. The highlight here might well be ‘Fortune Presents Gifts Not According To The Book’. ‘Black Sun’ is another strong track on the album – which sounds almost untypically modern, yet utterly belongs on the album. There’s Celtic hints at times, too – but unlike so much music that tries to incorporate Celtic music it avoids tweeness or bombast. As with much of DCD’s music, it goes a long way to making you rethink the much criticised ‘world music’ label. Spiritchaser (****) appeared in 1996. Over the previous few years they had gained a bigger following in the US, with their sixth album, 1993’s Into The Labyrinth selling half a million worldwide. Gerrard had released her debut solo album, The Mirror Pool in 1995 (she would go on to do soundtrack work, winning a Golden Globe for her work on Gladiator). As with Aion, the album had been recorded at Brendan Perry’s Quivvy Church studio in the Irish Republic (as opposed to Egg being made on London’s Isle Of Dogs) by the album’s title, the band had moved from the sound of the preceding albums to work with African and Caribbean tribal rhythms. Yes there are drums and percussion on earlier albums (check out ‘Mother Tongue’ on Egg) but this is an album driven by rhythm. This wasn’t intended as the band’s final album – rather that a planned follow-up was abandoned. Though the distortion on album opener ‘Nierika’ is a seemingly intentional false start, it again brings home the point that once you thought you had defined DCD, they would then surprise you. ‘Indus’ sees them share a writing credit with George Harrison – the melody is strikingly similar to The Beatles’ ‘Within You Without You.’ As an album it’s perhaps the most modern sounding (in a good way) than they had been since their debut. It’s a joy to hear these albums as they were intended – they show how creative and original an act DCD were, and why they were more than just another goth band. nbb techno gremlins have attacked – check out dead can dance on youtube, spotify, deezer etc.. Right from the opening bars of album opener ‘Children Of The Sun’ it is clear that the first album from Brendan Perry and Lisa Gerrard in sixteen years is a winner. Whilst the notion of ‘World Music’ is, frankly, rather naff, and more often than not, more than just a little patronising, this is an album that truly is global in its approach to sound. Yet, the thing is, not only did they produce music that was jaw-dropping, they could write songs and produce work that was astonishingly easy to love. Sure, it might be hard to categorise them – they would appear on goth compilations, topped world music charts, and were signed to seminal arty indie label 4AD during the 1980s and 1990s -but that may just have been more about listeners trying to get a handle on a very special act. ‘Return Of The She-King’ manages to evoke Scottish folk, Gerrard’s soundtrack for Gladiator and with vocals from Perry that sound almost incantation like -but it’s never too clever, never leaves you feeling that this is music to be appreciated, rather than loved. It is both -and all the better for it. 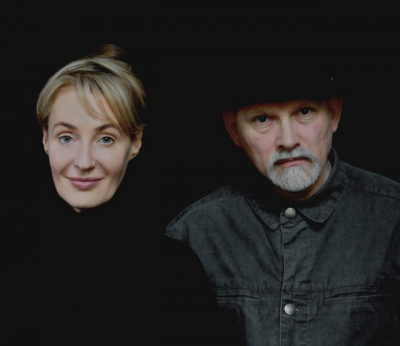 For a label that has given so many extraordinary bands over the years, the duo of Lisa Gerrard and Brendan Perry-better known as Dead Can Dance- couldn’t have been signed to anyone else other than 4AD in the 1980s. Often lumped in with the goth scene, the duo might have been gothic sounding, but they were beyond pop music. Not in a snobby way, but they seemed to be from another time, another place altogether. Were they folk, modern classical or just simply unclassifiable?